On Saturday, November 12th, we hosted a hike on our lovely 600-acre Webb Conservation Easement near Panthertown Valley in Jackson County. This beautiful property is bounded on the north side by Cedar Creek, a high quality tributary flowing into Webb Lake, which provides habitat for native brook trout. All water on the property eventually drains into the West Fork of the Tuckaseegee River, and on into the Little Tennessee River. 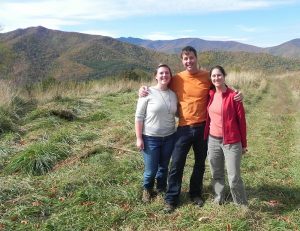 Cold Mountain – 162 Acres Protected! On Friday, June 17, we purchased a 162-acre tract of land on the northwestern slope of Cold Mountain, in the Dix Creek watershed. The Haywood County tract contains an exceptional variety of forest communities and potential habitat for rare species. https://appalachian.org/wp-content/uploads/2016/06/Pygmy-salamander_Chris-Wilson-large.jpg 480 800 sahcadmin /wp-content/uploads/2016/03/southern-appalachian-highlands-conservancy.png sahcadmin2016-06-24 10:59:092016-10-12 20:56:45Cold Mountain - 162 Acres Protected! We assisted the NC Wildlife Resources Commission in purchasing a 64-acre tract adjoining the Cold Mountain Game Lands near Lake Logan. The forested tract, formerly owned by the Caldwell family, adjoins the Cold Mountain Game Lands and Significant Natural Heritage Areas, ranging in elevation from 3,400 – 4,000 feet. 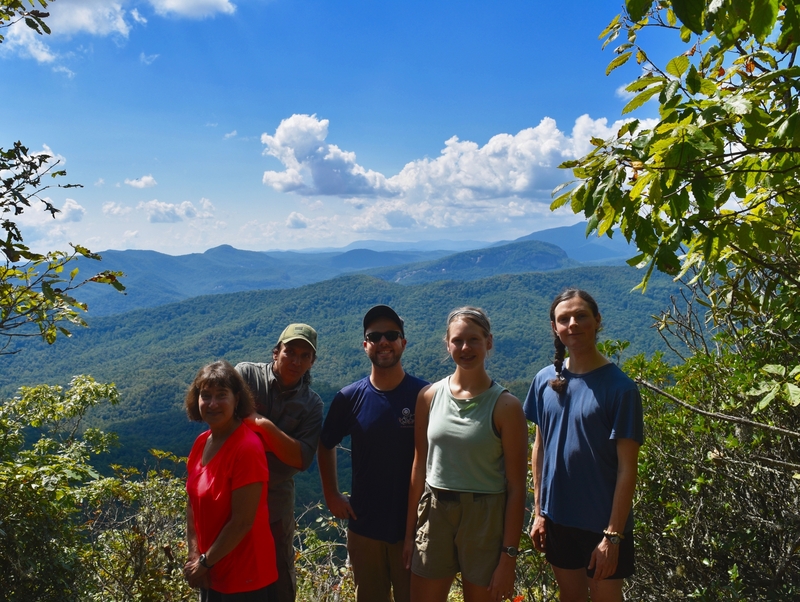 “The hike group met at the Waterrock Knob overlook (elevation 6,292 feet), which gets its name from a cool stream where hunters and farmers came to quench their thirst. About 1/4 mile down from the Waterrock Knob Visitor Center we started the trail, which covers approximately 2.2 miles of up-and-down terrain, becoming very skinny at times to hug the steep mountainside. 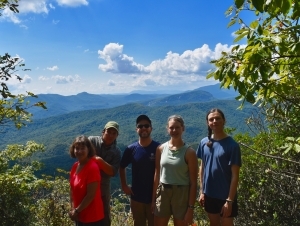 Blackrock Mountain – Protecting views from the Blue Ridge Parkway! 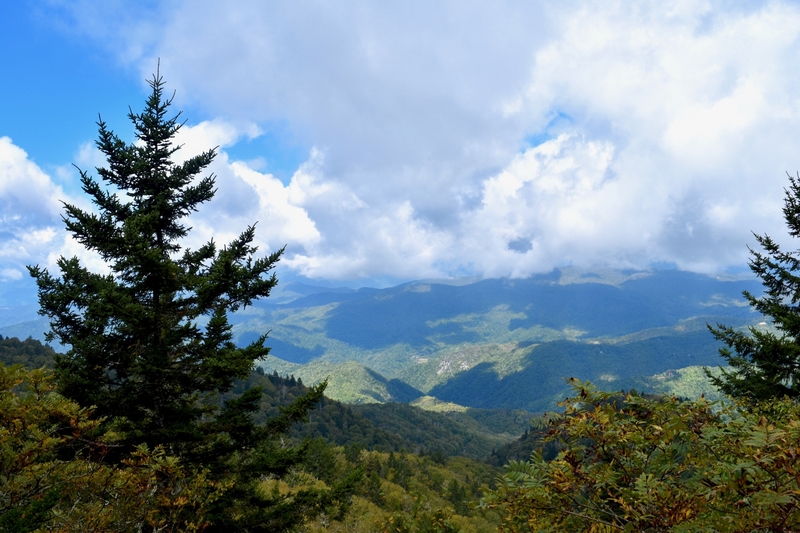 I n October, SAHC purchased the summit of Blackrock Mountain in the Plott Balsam Mountains of Jackson County, with more than 250 surrounding acres. We plan to hold the property and manage it as a nature preserve until it can eventually be transferred to public ownership as park lands. https://appalachian.org/wp-content/uploads/2013/11/blackrock-summit-sw-corner-parcel.jpg 1362 2048 sahcadmin /wp-content/uploads/2016/03/southern-appalachian-highlands-conservancy.png sahcadmin2013-11-14 15:47:412016-10-31 00:42:07Blackrock Mountain - Protecting views from the Blue Ridge Parkway! Just last week we closed on the purchase of a 60-acre tract in the Plott Balsam mountains, just north of Sylva in Jackson County. The Plott Balsam mountain range looms over Sylva and Waynesville in beautiful western North Carolina. 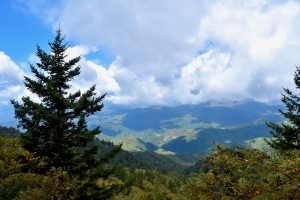 These mountains are within SAHC’s Smoky Mountains focus area and the addition of this property contributes significantly to SAHC’s protection goals.